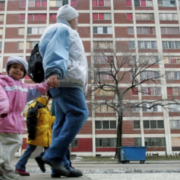 Few programs for the poor are so widely reviled as public housing. For opponents on the right, housing projects are costly monuments to the folly of misguided idealism, stifling residents’ ambition by surrounding them with crime, decay and bureaucracy. For critics on the left, the projects — which were often segregated — became ugly icons of the racism of the white elite, an elite that was unwilling to implement more effective solutions to social problems. Comprehensive new data published this week challenges the cultural consensus on public housing. 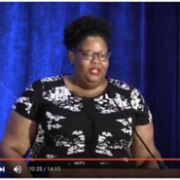 For all their flaws, housing projects can have remarkable positive effects on the children who grow up in them, researchers conclude in a paper published by the nonpartisan National Bureau of Economic Research. Children who spend more time in public housing will earn hundreds of dollars more each year than they would have if their parents had not received housing assistance from the government during those years. Children who benefit from public housing are also less likely to be imprisoned, according to the data. Not having to worry about paying private-sector rents, parents might have more time to spend on their children — helping them with their homework, keeping them out of trouble and guiding them to a more successful adulthood, the researchers theorize. For decades, both Republican and Democratic policymakers have sought to move families out of public housing by offering them vouchers through Section 8. Households can use these vouchers to help pay rent in private buildings. Today, there are about 2.2 million people living in public housing, and another 5 million using vouchers to pay rent in private buildings.